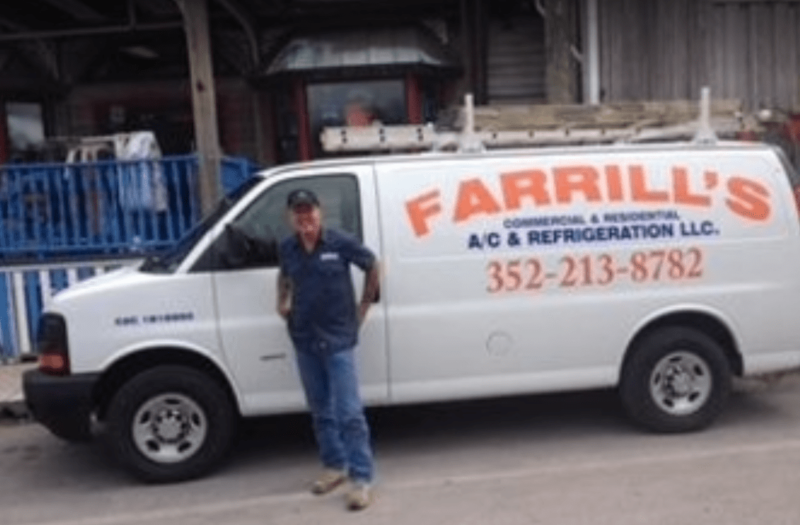 Honesty, integrity and reliability is what you can expect when doing business with Bill Farrill owner of Farrill’s A/C & Refrigeration. He completed a job that required duct work replacement and new unit installation days ahead of schedule and under budget. It can’t get better than that when dealing with any type of contractor. After having several AC techs work on my unit Mr. Farrell really took his time to evaluate my problem and get us going again. I really appreciate his courtesy and professionalism. Wonderful service, great job! Was a great chance to watch a true professional service man for life! Thank you. Farrells AC came out and serviced my air conditioner and did a wonderful job. He answered all our questions concerning our options about future air conditioner. Thank you so much for the great job. I've known Bill Farrill for more than two years. I'm a realtor from Florida Homes Realty. Bill is honest, dependable and professional in his field. I can't have found a better AC man in Gainesville Florida. What a guy. You are a dream. Please know how much we appreciate what you are doing on all our behalves. And by the way, I cannot believe that I never thanked you myself for all your labor and brainwork in removing the Traulsen and in getting the new Nor-Lake in. The new freezer is awesome. Bless you! Bill, you're terrific! Thank you so much for your help. You are one of God's special blessings! I can't thank you enough for your help on Saturday. You saved the day. I appreciate you a lot! Hope you are well. We could never begin to thank you for all your hard work and for coming all this way to help us it was so appreciated. I was just thinking this morning how wonderful it is to feel that warm air coming out of print over my desk. It's never blown out like that before! The units are so quiet I can even hear when they come on. So nice and a very welcome change. Well I hope all is well on your and tell your sweet wife hello for me. William was on time and works quickly I'm so very grateful he was available today. Mr. Ferrell was very well mannered and professional. He left the area cleaned and repaired AC in good time. I would have been back for my repairs any time. Thank you Bill for doing the AC inspection so quickly. Would you drive your car 214,000 miles without a tune up? 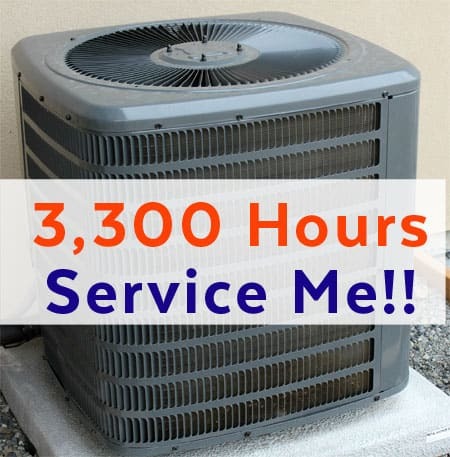 The average central air conditioning system could run about 3,300 hours per year. That adds up to a lot of wear and tear. We’ve all heard the saying, only floss the teeth you want to keep, well, your air conditioning system needs cleaning and inspecting, just like your car or your teeth! Have you gone for years at a time without tuning up your central air conditioners? Fortunately, for those folks living in Alachua, Marion, Levy, Gilchrist and Dixie Counties and surrounding areas, Farrill’s AC Repair offers affordable and convenient tune-up and maintenance services. 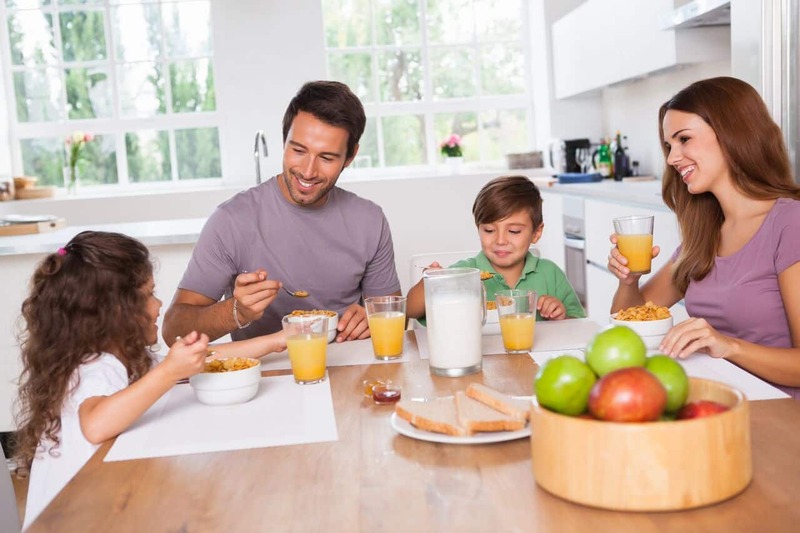 If you are a homeowners who has not had routine air conditioning and maintenance for your AC system, you will be losing thousands of dollars on ac repairs, rather than saving money. Here is an example: If your capacitor is not running efficiently, it causes wear and tear on the motor and eventually will require an expensive repair. Capacitors run around $30 or more depending on the air conditioning unit. Wouldn’t you like to save thousands of dollars on your air conditioning, remember, we live in Florida! Here is another example, a refrigerant leak can be repaired easily and affordably if found early; but, if goes undetected, it can actually burn up the compressor, if he refrigerant gets too low. Before the compressor fails, it will run inefficiently, and cost you a lot more money to keep cool. Air conditioning / AC tune ups will assist your equipment to work at or near the original factory specifications, depending of course on the age and overall condition of your AC system. Not only will you save money on repairs, but when air conditioners run efficiently, you get cool, and the cooling equipment runs less, saving you money. And, equipment lasts longer when it is not under duress. and refrigeration needs. We never charge extra for after-hours calls or weekends. You trust us to do our jobs efficiently and in a timely manner. Our experienced staff is ready to work with you every step of the way. Whether your needs include a mystery electrical problem at midnight, or a unit hanging precariously over the bay (both have happened…), Farrill’s AC will be there. We also make it a point to give you the knowledge and tips you need to save money on costly repairs in the future!future! We never charge extra for after-hours calls or weekends. We have the knowledge and expertise to get you up and running in no time. Our staff has been trained in all aspects of heating, cooling, and commercial refrigeration repair. Our technicians are able to service and repair any brand of heating, air conditioning, or commercial refrigeration product. Proper maintenance can provide years of trouble-free enjoyment, as well as help to reduce costly energy bills. 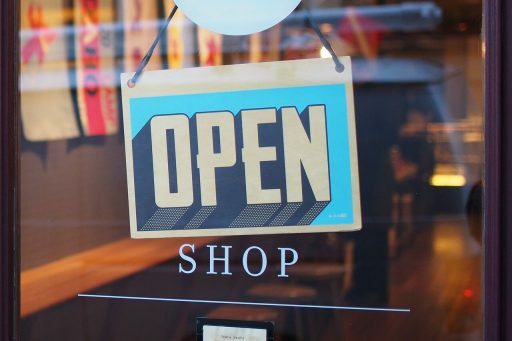 Thank you for visiting us today, and feel free to contact us with any questions you may have about AC & Refrigeration installation/repair, or our services! 24/7/365 Emergency Services with NO additional service fees! 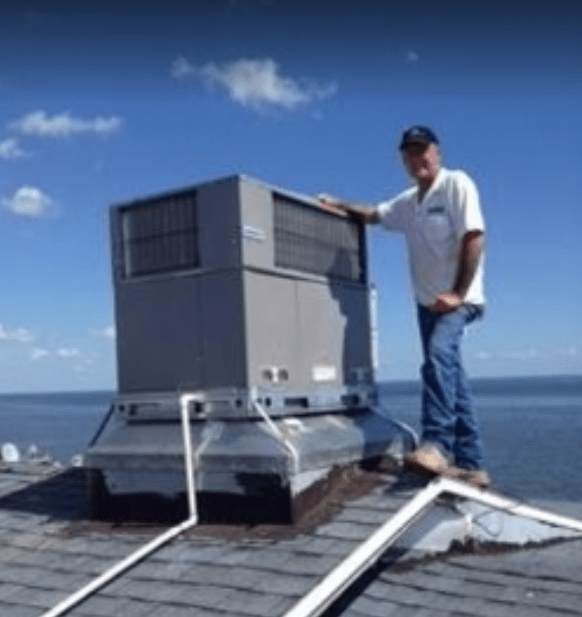 Its simple to find a great Air Conditioning Repair company in the Gainesville, Ocala, Chiefland and Cross City areas, just type in AC Repair near me, and click on Farrills AC Repair. Some more Google Reviews from our Chiefland Office. 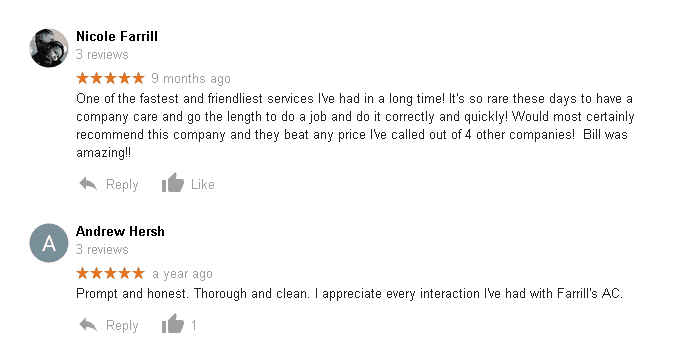 We appreciate all our customers, and thank you for your awesome feedback! Proudly serving all of Alachua County, as well as the Tri-County and surrounding areas, including Gainesville to High Springs to Ocala to Cedar Key to Cross City and all points in between.